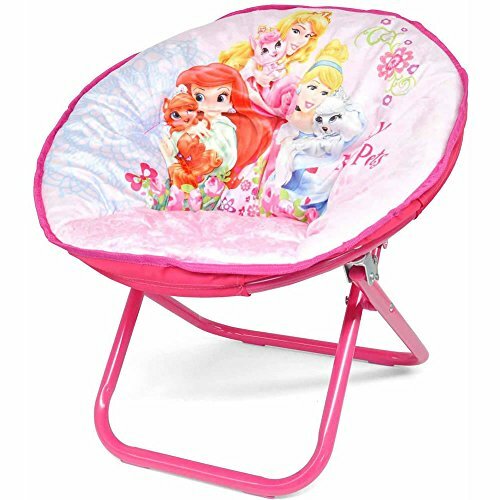 Give kids a fun place to relax with the Palace Pets Saucer Chair. Place it in a family room, media room, bedroom or playroom to provide an ideal spot for reading, watching TV or simply hanging out. This saucer chair has a sturdy but lightweight steel frame that adds durability while still enabling you to move it around the home with ease. A round fabric seat adds comfort. Fold this item for easy storage as needed. Pair it with other Palace Pets decor for coordinated style. This kids' saucer chair has a weight limit of 81 pounds.